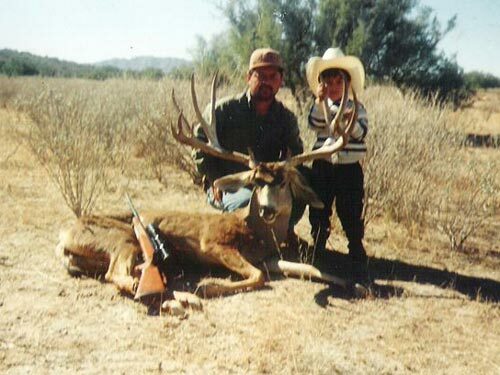 Score 229 B&C 40" wide, hunted by Ubaldo Lopez. Bout made me choke on my water!!! That thing is awesome! That is one hell-of-a buck! And I love to see your son there with you. Congrats on a true trophy. Isn’t the world record for Mule Deer Typical 226 4/8?? Is this a new record? VERY NICE! THAT KID HAS IT MADE IN THE YEARS TO COME MAN!! thanks Kody A.,Mike is not the new record but I have more that provably and about you Muley man, Im outfitter and have 12 ranches for hunt this kind of buck’s, I don’t need to pouch. Look at those ears…they must be 9 inches each?! Not only do I love Mexican food, I now love Mexican Mule Deer. Impressive.